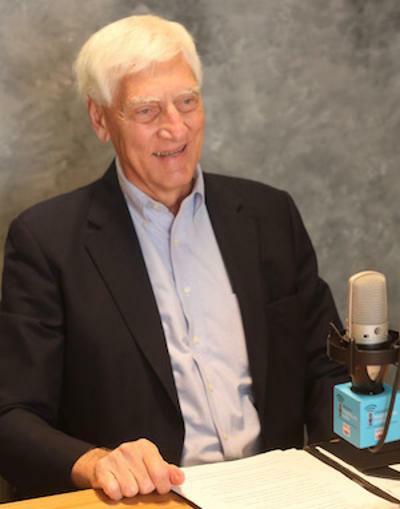 Greg Eastwood, MD of the Center was interviewed on WRVO's HealthLink on Air and talked about his new book, "Finishing Our Story: Preparing for the End of Life" which discusses end of life issues, quality of life, and physician-assisted death. Listen to the segment. 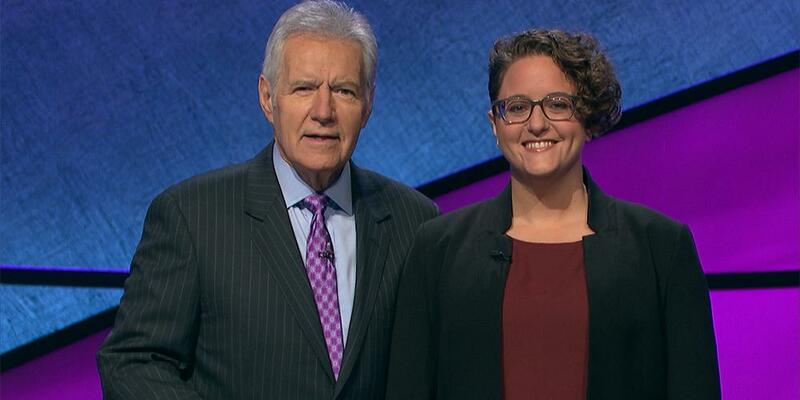 Center faculty Rachel Fabi, PhD, recently realized a lifelong dream: being a contestent on Jeopardy! Fabi discussed her time on the well-known quiz show during an interview on HealthLink On Air, and shared what it was like to be on the other side of the TV screen. Listen to the segment. Deirdre Neilen, editor of The Healing Muse—the Center's journal of literary and visual arts—was interviewed on HealthLink on Air and discussed the role of literature in medical education and finding inspiration in and through writing. Neilen also spoke about the journal's history and mission, and a pair of recent publications: volume 18 of The Muse, and Round & Ripe & Wise, a special collection of the poetry of Bonnie St. Andrews, PhD, founding editor of the journal. Listen to the segment. Tom Curran of the Center was interviewed on WRVO's HealthLink on Air and discussed the ethics of the home genetic testing industry. Curran shared the troubling findings of his personal research into the subject, including major concerns with the ethics, safety, and privacy of home DNA testing. Listen to the segment . Center faculty Tom Curran and Rob Olick were interviewed on WRVO's HealthLink on Air and discussed the importance of being careful when choosing your health care proxy. Listen to the segment. 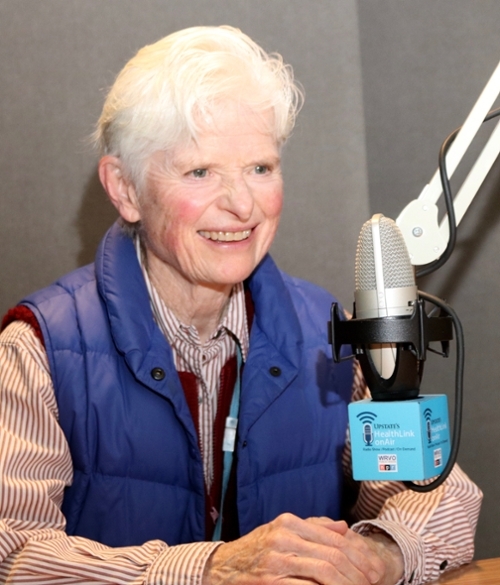 Deirdre Neilen was interviewed on WRVO's HealthLink on Air, and shared the mission of the Center’s journal of literary and visual arts, The Healing Muse, of which she serves as Editor-in-Chief. 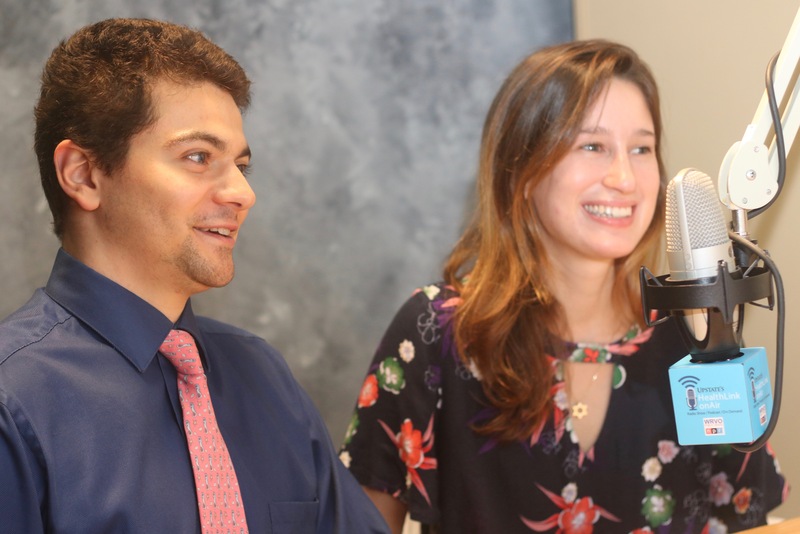 Neilen was joined by medical students and contributors to volume 17 of The Muse, Ben Casola and Jordana Gilman. They discussed how poetry has helped them process difficult experiences they've faced as medical students. Listen to the segment. Greg Eastwood of the Center was interviewed on WRVO's HealthLink on Air and looked at the ethics of providing care in the air during medical emergencies. Should physicians and other medical professionals feel obligated to respond to calls for assistance? Drawing from his own experience, Eastwood explored the legal and ethical duties involved, and offered advice to medical professionals. Listen to the segment. 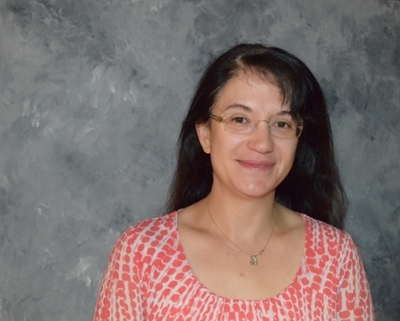 In this interview on WRVO's HealthLink on Air, Center faculty and pediatric oncologist Amy Caruso Brown explored the difficult transition of patients and their families as they complete treatment and become survivors. Brown discussed how survivors and families must come to terms with the spectre of medical problems that continue to loom in the background, and the very real possibility that complications may arise later in life. Brown shared the story of her father, who survived Hodgkin’s disease at age 19, yet continued to experience effects throughout his adult life. Listen to the segment. Are you friends with your doctor? In this WRVO's HealthLink on Air interview, pediatric oncologist and Center faculty, Amy Caruso Brown, looked at the ethics of social media in the context of the patient-doctor relationship. Brown shared how accepting a friend request from a patient’s mother changed her outlook and understanding of the practice of medicine. She also explored the accuracy and risks of using the Internet and social media as tools to research medical knowledge. Listen to the segment. What ought to be done when a patient lacks decision-making capacity, but has not designated a person to act on their behalf? Patients’ families typically take on the role; but disagreements are common. 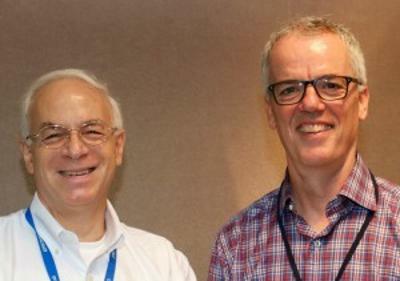 Center faculty Tom Curran and Rob Olick were interviewed on WRVO's HealthLink on Air and discussed the mediating role of bioethicists in end-of-life disagreements, and argued that the obligation is always to make a decision that the patient would want. Listen to the segment. Patients and their families often disagree with recommended medical plans, but what happens when those patients are adolescents? 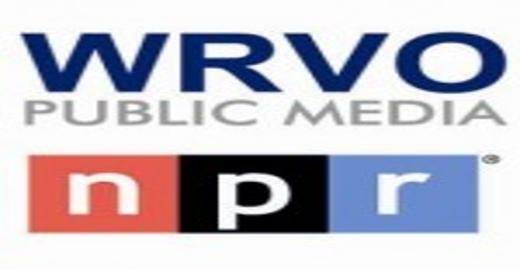 Center faculty Tom Curran and Rob Olick explored a case on WRVO's HealthLink on Air in which an adolescent with cancer and his parents disagreed with recommendations from doctors. They discussed the mediating role of bioethicists in cases of disagreement and emphasized the importance of including the feelings and opinions of adolescent patients. Listen to the segment. Last Modified: February 28, 2019. Contact Jessica Barbuto with questions about the content of this page.